Luigi Gambardella is president of ChinaEU, a business-led organisation that aims to strengthen trade ties between Beijing and Brussels. 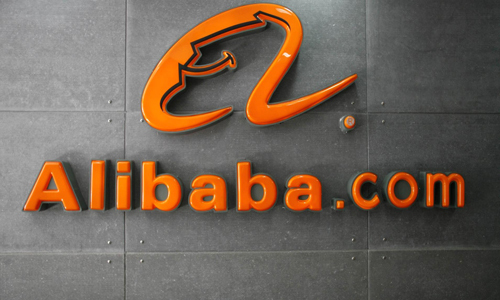 Today, it is impossible to talk about e-commerce without mentioning Alibaba and its charismatic founder Jack Ma. Home to the world’s largest population of netizens, China has surpassed the US to become the world’s top e-commerce market, with online transaction totalling 16.4 trillion yuan (€2.19 trillion) in 2015, according to iResearch Consulting. In coming years, China is set to contribute to the explosion of global e-commerce, turning the planet into one big shopping mall that allows consumers on one side of the world to interact with traders on the other. Ma’s next ambition is to make the world a village. Alibaba’s global marketplace AliExpress is forcing the EU to reconsider geo-blocking. This is the practice currently applied in the EU’s e-commerce sector, whereby European consumers can be “forced” to shop on the national website of international groups. They are redirected to these national sites on the basis of their IP address. Moreover, consumers may face restrictions on online payment, diverse delivery fees where the price differences can be huge, or extremely complicated return policies, to name just a few problems. AliExpress provides a simple, transparent alternative that attracts ever more European consumers. On the other hand, Chinese consumers could be confronted with similar difficulties when buying from overseas. With this in mind, Ma proposed creating an electronic world trade platform (eWTP) at the B20 and G20 meetings in Hangzhou, beginning in October. The eWTP is a bold proposal, aiming to include SMEs in the global industrial chain, as well as to give consumers easier access to goods through a transparent and fair platform where online transactions flow freely and people from all over the world are able to trade with whomever they want. To make it successful, it requires careful examination. In the early stages, useful tips from experienced players should be collected in order to develop a solid set of rules and a strategy. The EU Digital Single Market Strategy has a lot to offer. The European Union realises that current existing barriers online not only make European citizens miss out on goods and services but also limit the horizons for internet companies and start-ups. To lift those limitations, as well as make online transactions easier, the European Commission introduced the strategy to tear down regulatory walls and turn 28 national markets into a single one. If this succeeds, it could contribute €415 billion per year to the European economy and create a generous number of new jobs. Ending discrimination on the Internet based on nationality or place of residence. Prohibiting e-commerce sites from re-routing the consumer to a country-specific website or asking for payment with a debit or credit card from a certain country. Making cross-border parcel delivery more affordable and efficient. Consumers and retailers should benefit from affordable deliveries and convenient return options, even to and from peripheral regions. Consumers and small businesses complain about problems with parcel delivery – particularly high delivery charges in cross-border shipping and bureaucratic customs clearance procedures. Self-regulation to achieve effective consumer protection on the web would increase consumer trust. The idea of a top-down harmonisation of consumers’ rights (after sales conditions, unfair commercial practices) is a utopia. We should trust those involved to self-regulate their marketplace. International standards should be defined and governments’ roles should be to certify marketplaces and periodically review compliance with these standards. Instead of “cross-border e-commerce”, we are actually talking about “e-commerce without borders”, as the ultimate goal is to provide consumers with freedom to shop online without limitations. The Digital Single Market may offer China some inspiration to improve its current cross-border e-commerce policy, or even to implement the promising eWTP proposal. Most importantly, once the EU’s 28 markets succeed in merging into one, it will open up a huge online market for China with only one set of rules to follow. Both sides should inject impetus for common e-commerce regulation. When the wall between the Chinese and European e-commerce markets is knocked down, it will be a giant step for truly realising “e-commerce without borders”.